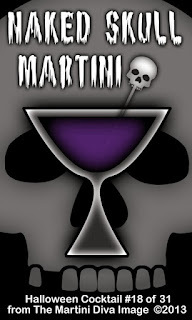 HALLOWEEN MARTINIS & HALLOWEEN PARTY FOOD - Black Skull Martini & Spread! 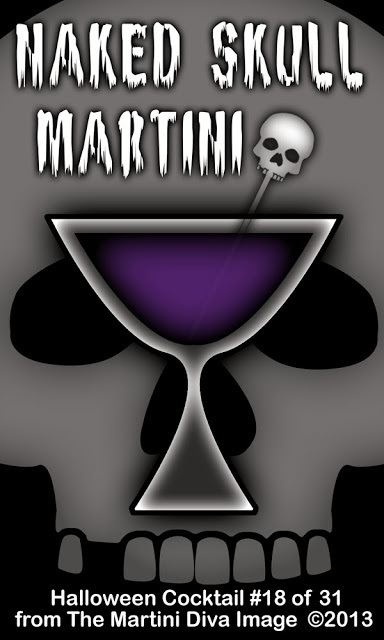 The NAKED SKULL MARTINI is a black martini! Yup, no food coloring involved because it's made with Blavod Black Vodka! How cool is that? It may look like the dead of night but it tastes like an orange thanks to the orange juice and the Blue Curacao.